A strong reminder from Alan Oldham that he is not only an illustrator much in demand for sleeve designs, but a techno producer of experience. Already in the nineties, his Generator Records stood for Detroit’s rougher sound, with an impressive roster. Oldham has relaunched the DJ T-1000 alias with “The Polymath EP”, offering on the A-side no-nonsense classic techno. 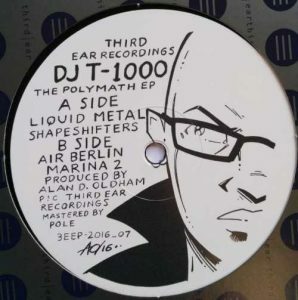 With thematic voice samples, the track “Liquid Metal” could be DJ T-1000’s anthem of the decade and especially the exclamation ‘I’m back’ in “Shapeshifters” may tell a bit about the future intentions. The B-side’s “Air Berlin” and “Marina 2” rely on warmer chords and round up a magnificent EP. Tight bass workouts with ghetto factor and freaky voice samples on the Uncanny Valley sublabel: Following her last year’s album on HVNX, this is Inga Mauer’s great EP debut. From the ravishing opener “Dno” that collides with Steve Poindexter’s ‘work that’ bass line to the bestial acid grooves of “Dystopia”, a track that does justice to its title, it’s all a compelling ride from an artist to watch. 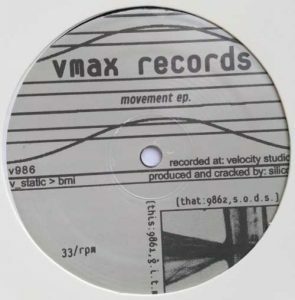 Once in a while, warehouse finds from V-Max Records tend to resurface and in this respect “Movement EP.” is not a new release. The label founder Heath Brunner hits on the A-side with “G.I.T.M.”, hydraulic Detroit electro with vocoder action and sleazy moaning, all kept together by gleaming pads in the background. The B-side’s “S.O.D.S.” is juggling with videogame noises carried by persistently rough bass. 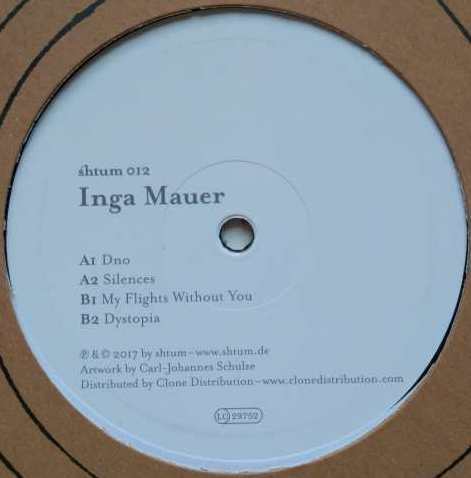 V-Max has not released anything on vinyl for over a decade but the label’s Bandcamp site features some newer tracks and meanwhile it’s also worth visiting a new DJ mix by Brunner.